I have to say, I’m a little surprised (pleasantly surprised, even, maybe a little) that Kathleen Eagle is not herself Native American. She’s married to a Native American, like one of the main characters in the story was, and so I hope she’s not prone to the kind of attack I kept thinking about all through this book: you’re not allowed to write about a race (or nationality or orientation, or sometimes even gender) unless you belong to it. I did a lot of thinking about that while reading Mystic Horseman, the whole mindset of “part of” as opposed to “not part of”. Someone (I didn’t make a note of who) says “This is Indian Country. When you’re here, you’re family” – it struck me that that sort of generalization doesn’t fly if a … what? A gringo? A haole, to cross cultures – says it. It reminded me of the whole teapot tempest of who is and is not allowed to use the “n” word. There is also the whole “apple” thing – “the old term for red on the outside, white on the inside” – which kind of negates the old argument that racism is bad because “we’re all alike on the inside”… argh. Never mind. That’s far too deep a conversation for a generally fluffy book, and I’ll only get myself in trouble. So, the book: the story of Dillon Black [Bear], trying to create an ongoing program in which children are put on horses and given experience they would never otherwise have, working with his college-aged daughter, trying to bond with his sixteen-year-old son who is more like Dillon’s ex-wife than his Lakota father … I was hoping for a quick and painless way to whittle down my Netgalley list and build up my Goodreads challenge list. And I did get it done over a weekend (not as fast as I hoped), and it was relatively painless in that it held my interest and I made it through. I liked parts of it more than I expected. I liked the musical prodigy teenager, D.J. ; I liked that Emily, the daughter, adored her father, and D.J. adored Emily, and Dillon was trying to become what they needed and still be himself. I kind of liked that Monica, the ex-wife and mother, is fighting every day against a cancer that she is keeping hidden from almost everyone – that she is not a warm and cuddly person, and is okay with that. I think I liked Dillon’s complete and utter bafflement when D.J. comes to him with a serious personal issue; Dillon has no idea how to handle it, and kind of sort of fumbles the ball. I liked the weird combination of smarm and earnestness in the television makeover show which proposes to give Dillon the setting for the program of his dreams – a gift which has its roots in Monica’s life-changing issues, and which Dillon doesn’t trust as far as he can throw her. I loved “the Lakota expression for that which is warm and life-giving and fills the heart. ‘Sha.’ Red.” That’s lovely – it fills in an empty space in the English language. 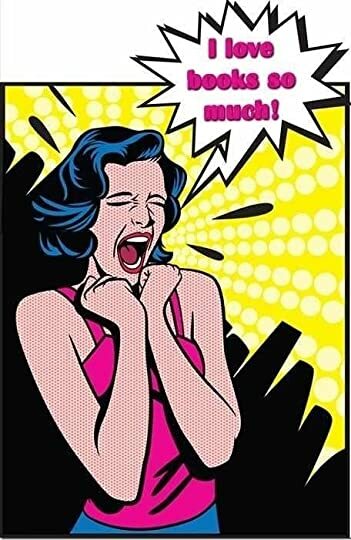 It should be in common usage. What I didn’t like as much in the story was the relationship that springs forth fully formed between Dillon and Ella, a producer on the tv show. (I also was occasionally annoyed that “Ella” and “Emily” were too close for lazy and slightly rushed reading.) I found it hard to believe that a strong career woman like Ella was supposed to be would be fine with him drooling all over her within seconds of their meeting (they had met once before, but hardly knew each other). He was heavy-handedly coming on to her immediately, and trying to kiss her a minute later, trying to get into her bed fifteen seconds after that. It was … kind of grotesque, actually. The book is a reissue – but only from 2008, not the mid-eighties sometime; this version of “manly-man” feels a lot older. And I lost patience with Monica’s constant smoking. I know, I know – they say it’s harder to quit smoking than to quit opioids. I have no idea – I’ve never smoked. But it actually made me angry throughout the book as she lit up again and again, despite having lost a piece of her lung already to cancer and finding herself at the beginning of the story facing a renewal of the threat. It’s one of the many reasons I’d never be a doctor: “oh, dear, the cancer has returned. Wait, do I smell cigarette smoke on you? Then you’re a bloody idiot and you need to find another doctor. Go away, fool.” I wouldn’t be any too forgiving of her if I were one of her kids, either. In fact, I’d be angry as hell. But what I really didn’t like about the book was the nonstop metaphor and wordplay that larded the writing. Now, I’m a fan of a pretty metaphor. See also: Robin McKinley, Barbara Hambly, etc. But what makes their use of metaphor beautiful and enjoyable is a judicious hand in distribution. If this book is any example, “judicious” is one of the only words not in Kathleen Eagle’s vocabulary. Every page brimmed with puns and synechdoche and metonymy and, yes, metaphor, both in narrative and dialogue, and in everyone’s internal monologues – every single character in the book speaks like he’s trying to be something out of a 40’s Cary Grant movie. Trying – and failing. In case I’m not being clear, this book is a perfect example of “some is good, more is NOT better” – like cough medicine, it’s best not to exceed the recommended daily dosage. Maybe a quarter of the onslaught of badinage would make for an entertaining book. This … this became tortuous. I wasn’t the only one being tortured; the words themselves suffered in places. “He was one of those uncut gems that flashed a few tempting facets and dared some woman to try to make something of it.” More simply put, with less of an effort to beat that sentence into something “clever”, that sentence might be acceptable, but as it is it’s … yeah. Tortured. “Nick was sensitive that way, too. To the regular air, the common stare.” “You could count the cans in his abs.” The whole thing about the Charley horse made me want to slap someone. “…Several of Monica’s former students, whose younger faces lived in a memory that wanted a little jogging for names.” Stop it. Oh! And the alliteration! That also became painful: “From masterful to mesmerized, his wonders were working.” Gah. The note I made was “too cute by half”. I don’t know if this is the way Eagle always writes, or if this … style… was specific to this book; I’m not really interested in taking the chance. I like my Kindle. I don’t want to risk being provoked into throwing it against a wall. So no more Kathleen Eagle for me. 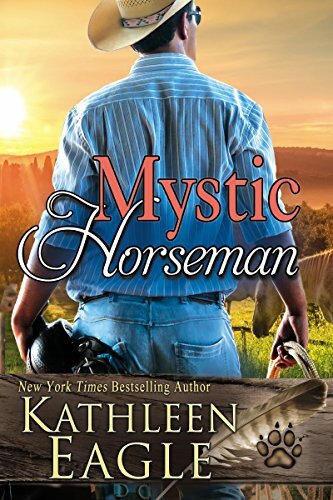 This entry was posted in books, Chick lit and tagged chick lit, home makeover show, horse camp, Kathleen Eagle, Mystic Horseman, NetGalley, romance. Bookmark the permalink.